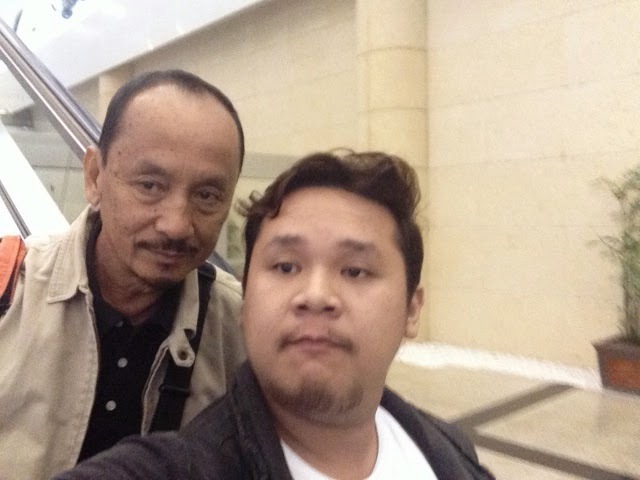 Dad and I went to China, my second time in the People's Republic, last November 2014. With the help of my Uncle Vincent, he arranged our trip from just everything to everything! He was very kind to contact all our Chinese Family in Quanzhou, Fuzhou and in Xiamen, all in the Province of Fujian in South Eastern China. For that I will forever be grateful to you Uncle Vincent! 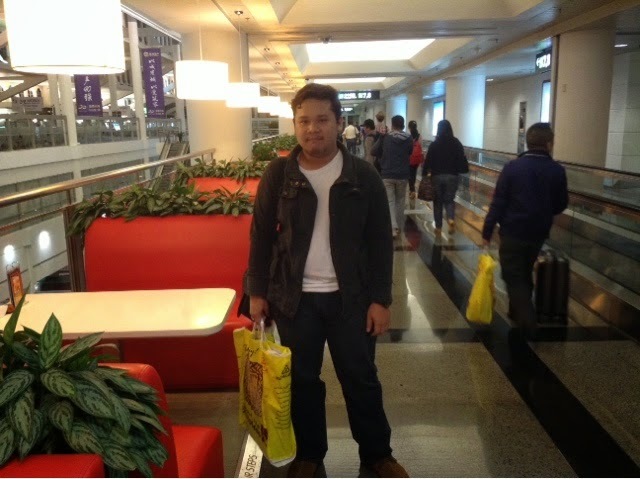 We arrived at Xiamen International Airport and one of my Uncles, Uncle Tan Qiam, fetched us. It was a very touching moment when I first saw him! I was there! At the land where my Grandfather was born, grown, nurtured, and where started his life. And seeing Uncle Tan Qiam made me feel that my Lolo Sam is happy in heaven that I am visiting and tracing back where he came from. 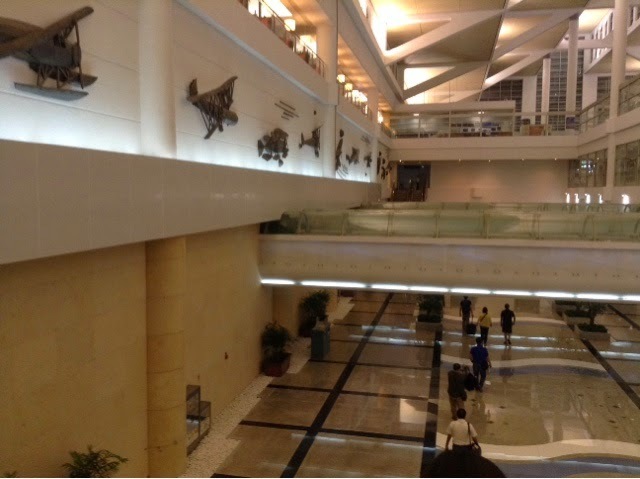 It was one beautiful arrival area! Though the place was quite desserted since we arrived a bit late in the evening. A selfie with Daddy on our way down through the escalator! 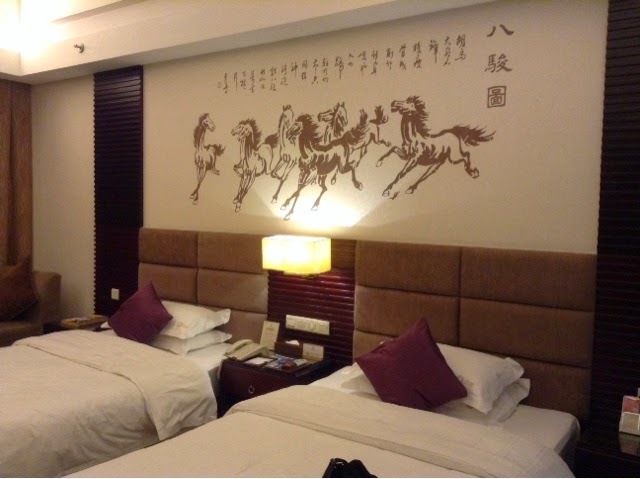 After arrival at Xiamen International at around 9 in the evening, he took us to our native City of Quanzhou, specifically in Jinjiang, where we checked in Wentou Oceanic Hotel. Uncle talked us up a bit and after checkin in, we had dinner at a nearby local place. The eatery was not very clean to look at to be honest but the food was AMAZING! 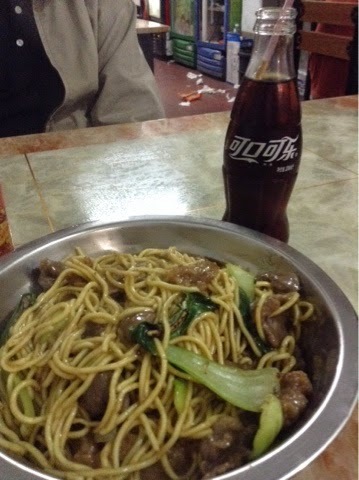 Without exagerating, it was the best Stir Fried Noodles I have tasted in my ENTIRE EXISTENCE! Filled with fresh vegetables and pork, stir fried in quick high heat, truly THE BEST I HAD EVER! 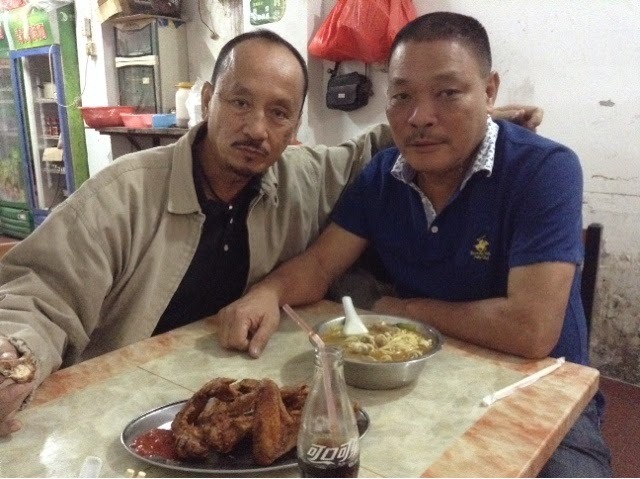 Daddy and Uncle Tan Qiam on our hearty dinner, truly filling to the tummy and to the taste buds! After a few quick stories, Uncle bid us goodbye so we can rest for the night for a great day tomorrow! In the morning, he will fetch us up and bring us to the exact place where Grandpa was born and raised, the village of Olim. But here are a few shots of our hotel room, it was Grand! 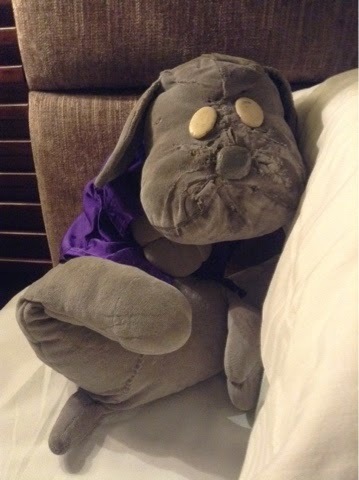 Doggy enjoying the soft sheets on our hotel room. In the morning, Uncle brought us to Grandpa's place! It was very emotional for me because I miss my Grandfather so much and at the same time, I can see exactly where he came from and their very close family just really means a lot to him. And I was there, exactly where he and his family lived together. I will be featuring more of my Grandpa's house on another post so stay tuned to that. After lunch that was prepared by my Uncle Tan Qiam's wife which was really good! 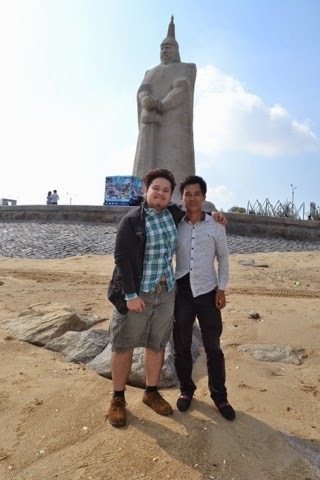 His son Poi Hong, my cousin, took us around Jinjiang and Quanzhou! On the next photo, you can see him and his black Lexus. He is a decade older than me but he looks very young! 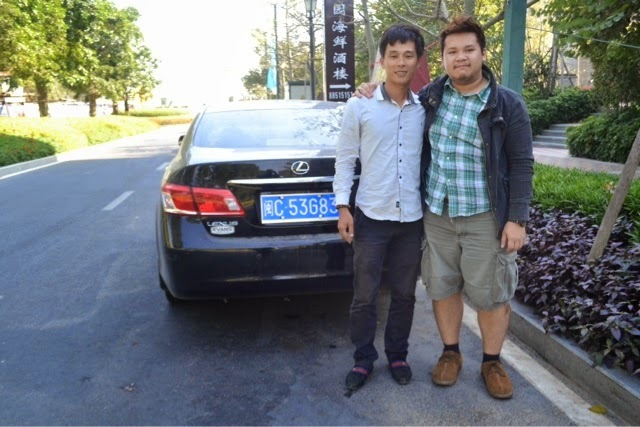 Me with Tan Poi Hong and his black Lexus. Of course, my trip will never be complete without dropping by a nearby Starbucks! The nearest was about an hour drive from Uncle's house in Olim. And to my surprise it was in an SM Mall, a Filipino Mall Chain which has several branches in Southern China. It was being renovated that time but it was open for business. I rushed to the rack and saw a lot of Quanzhou Icon Mugs! I grabbed me a few three mugs but for my collection and my friends'! While I was there a kind handsome manager approached me and showed me around the merchandise! He knew right away I was Filipino maybe because I speak quite good English (not boosting myself okay!?). I told him I was a collector and he was a bit amazed when I showed him my growing Icon Mug Collection, almost a hundred by that time, and he even got me a beautiful DIY Tumbler Filler for free! He was even so nice he gave me three free lattes for me, my dad and my cousin! 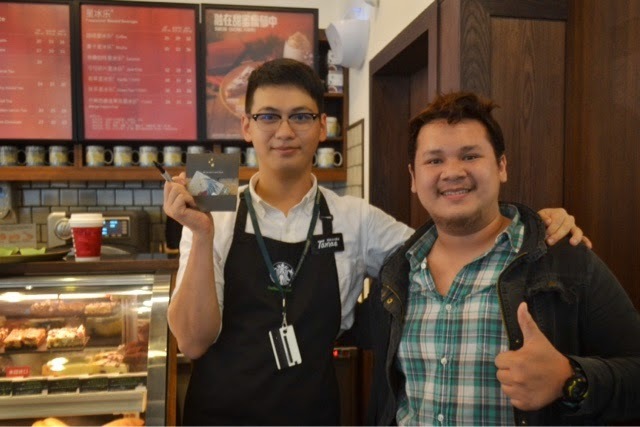 In return to his kindness I gave him a Philippine Starbucks Card which he refused at first but he then politely accepted. After our lattes, I asked him for a photo inside the shop and he happily posed for a couple of pictures. The very kind Starbucks Manager at SM Quanzhou who gave me three free lattes! 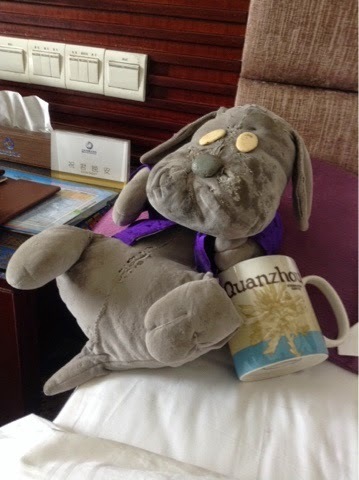 Doggy and the Quanzhou Mug featuring the Flower native to the City. 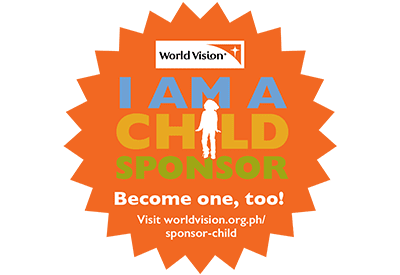 Being in another country is just a feast not just to my eyes but most especially to my heart because it really is a lifelong dream to encircle the globe and be at every culture, every country, every life that I can be in! 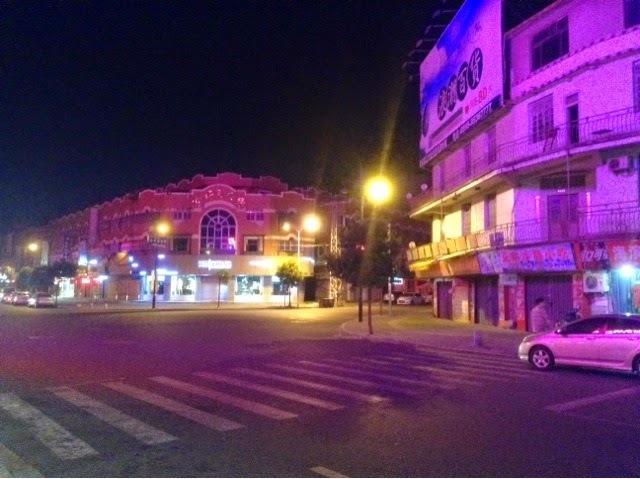 But one extraordinary thing about this trip is the fact that Quanzhou is not just a destination, it was where my Chinese roots are anchored at and being there just makes me feel much more alive, that a big part of me was actually missing, that I only found out that it was missing when I already found it on that part of China! 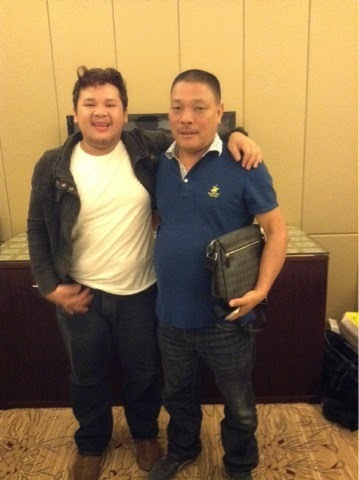 Thank you so much Uncle Tan Qiam for this Quanzhou Trip! We may not have the chance to talk straight because I don't really speak Fookien and you also barely speak English, but I hope you felt how thankful I was on our time there in Quanzhou, at home.